Canadian helicopters have conducted their first full-fledged missions supporting UN troops in Mali. The crew ferried Dutch troops to villages where international forces have yet to visit. 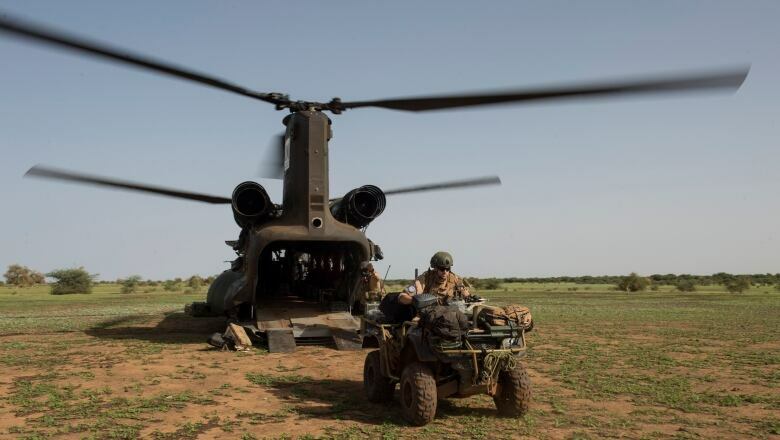 Canadian helicopters in Mali have conducted two support operations for the Dutch peacekeeping contingent in the war-torn country, a senior commander said Wednesday. The flights involved ferrying members of a reconnaissance team to remote villages 100 kilometres northeast of Gao, the main United Nations operating base, said the task force commander, Col. Chris McKenna. The intent of the mission was to deliver UN forces into a part of the country that rarely sees international troops, he said in a telephone interview with CBC News from Mali. There has been a lot of rain in the country recently, making many rural roads in the region impassable. The flights represent the first planned operations since the force of two CH-147F Chinook battlefield transport helicopters and four armed CH-146 Griffon helicopters — along with spares — were deployed earlier this summer. 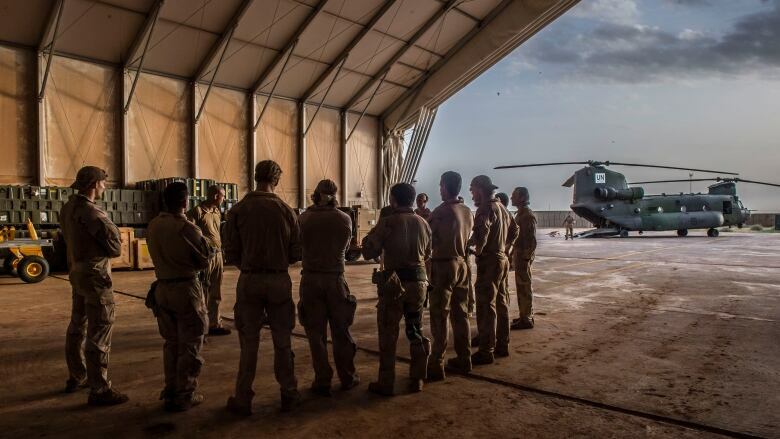 Canada has 250 aircrew and soldiers in Mali on a one-year mission. The task force was declared initially ready in early August, but conducted additional training before undertaking the operations. McKenna said the support missions — on Aug. 15 and Aug. 18 — went off without incident and the Dutch troops spotted no sign of insurgents or jihadist groups that are both trying to topple the recently re-elected government of President Ibrahim Boubacar Keita. "They were focused on engaging with the local population and seeing if there was needs in that area," said McKenna. The Canadian and Dutch militaries refused to identify the villages for fear of retaliation. The Canadian helicopters are also tasked with conducting the evacuation of UN casualties. There has only been one call for a suspected roadside bomb strike, but it turned out to be a false alarm, McKenna said. The potential for roadside bombings remains high, particularly along Mali's RN-15, which has been given the nickname "Highway of Death" by UN troops because of the number of improvised explosive device strikes that have taken place. "From a driving point of view it remains quite dangerous," McKenna said, who noted many of the roads in northern Mali are more like "a path through the desert that is commonly agreed to be a road." There have been 170 peacekeepers killed in Mali since the UN mission was conceived in 2013 following a jihadist takeover of the northern part of the country. French troops eventually retook the region and continue to fight a low-intensity counter-terrorism war, separate from UN operations. McKenna said the biggest thing that has surprised him, flying over the scorched countryside, is the number of people living in rural seemingly inhospitable areas. Often, he said, children will wave and chase after the helicopters as they swoop over the villages and trails. "There is much more population out in the desert than I would have expected," McKenna said. 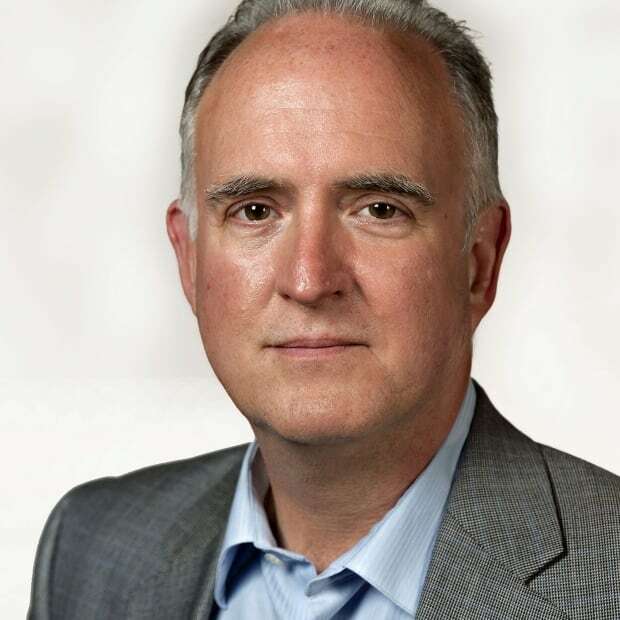 Murray Brewster is senior defence writer for CBC News, based in Ottawa. He has covered the Canadian military and foreign policy from Parliament Hill for over a decade. Among other assignments, he spent a total of 15 months on the ground covering the Afghan war for The Canadian Press. Prior to that, he covered defence issues and politics for CP in Nova Scotia for 11 years and was bureau chief for Standard Broadcast News in Ottawa.